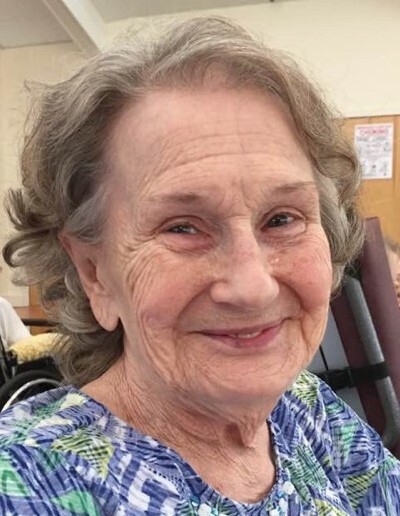 Obituary for Donna M. Barr | Spitler Funeral Home, Inc.
Donna M. Barr, 88, of South Williamsport, died March 28, 2019, at the Williamsport Home. She was born June 5, 1930, in Montoursville, the daughter of the late Theodore and Gertrude (Heckman) Folk. Donna worked as a secretary and was a member of Heshbon Park United Methodist Church. She enjoyed crocheting, bird watching, and gardening. Preceding her in death was her husband, Robert H. Barr; brothers, Dean and Howard Folk; sisters, Bernice Zerbe, Beverly Shearer, and Dolores Bellamy. Surviving is her two sons, Neal D. (Linda) Barr, and Charles E. Barr; three daughters, Jeanette Miller, Judith (Tim) Hartley, and Cynthia R. (David) Haines; sister, Joann (Donald) Stern; 11 grandchildren; 21 great-grandchildren; and one great-great-grandchild. A memorial graveside service will be held Monday, April 8, at Twin Hills Memorial Park, Muncy. Memorial contributions may be made to Heshbon Park United Methodist Church, 2898 Heshbon Road, Williamsport, PA 17701.